Sunglasses are a great fashion accessory, but their most important job is to protect your eyes from the sun’s ultraviolet rays. *cataracts, a clouding of the eye’s lens that can blur vision. An estimated 20% of cases are caused by extended UV exposure. *macular degeneration, resulting from damage to the retina that destroys central vision. Macular degeneration is the leading cause of blindness in the United States. *pterygium (ter-RIDGE-ee-uhm), a tissue growth over the white part of the surface of the eye that can alter the curve of the eyeball, causing astigmatism. 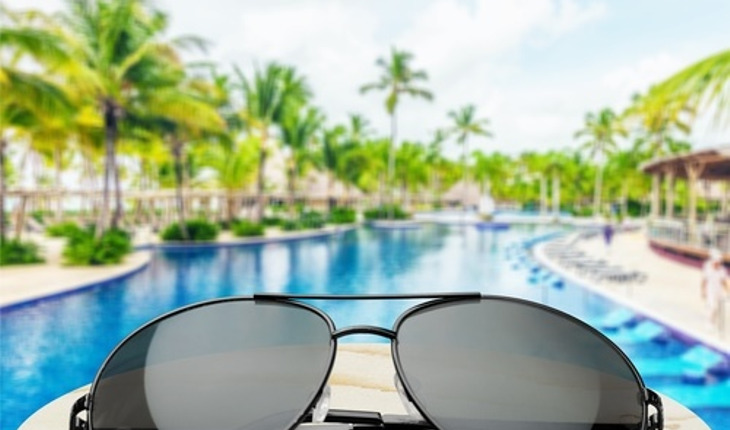 When purchasing sunglasses, look for ones that block out 99 to 100 percent of both UV-A and UV-B radiation, so you can keep your vision sharp and eyes healthy. A wide-brimmed hat offers great protection, too. Bigger sunglasses are better: The more coverage from sunglasses, the less sun damage inflicted on the eyes. And, the AAO says, oversized or wraparound sunglasses can help reduce UV entering the eye from the side. Darker lenses don’t offer greater protection. Instead, the AAO says, focus on lenses that offer more protection against UV rays. Keep lens colors in mind. Amber, green or gray lenses don’t protect more, but they may be a good choice, the AAO says, for activities like baseball or golf, because they increase contrast. Polarized lenses cut glare but don’t provide additional protection. Pay attention to price. More expensive sunglasses aren’t necessarily better. The most important element to consider: That they have complete protection against UV rays. For more information from SeniorHealth on other issues, click here. For more information from the American Academy of Ophthalmology, click here.